Hoxne was inhabited as early as 320,000 years ago but the site shows signs of continual flint tool production through the ages. 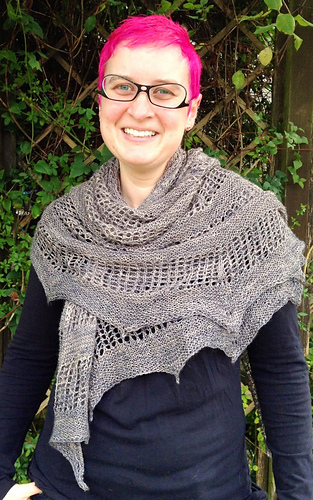 Flint is one of the key materials of North European prehistory - and I knew I wanted to design a shawl evocative of flint tools. 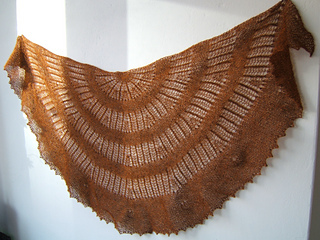 The shawl is knitted in soft, organic laceweight. 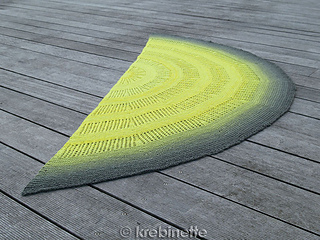 It is a semi-circle shawl with wide garter stitch sections interrupted by easy lace. The pattern contains written instructions. The lace is both charted and written out. Hoxne is part of the Doggerland: Knits from a Lost Landscape collection.